Joe Torres has more on the emergency response after dozens of turtles crawled onto the airfield at JFK Airport. NEW YORK -- It wasn't unruly passengers or bad weather that led to an emergency response at Kennedy Airport on Friday - but dozens of the airport's turtle neighbors. 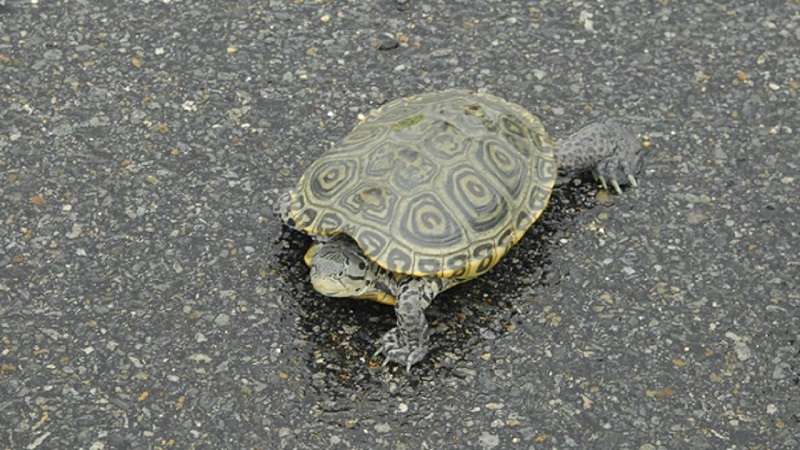 About 40 diamondback terrapins crawled out of Jamaica Bay and onto the airfield. The Port Authority told Eyewitness News that workers immediately collected and released the turtles to safer areas before they caused any impact to airport operations. The turtles' annual migration takes place from June to mid-July.